Are you ready to Optimize, Maximize, & Revitalize Your Mind, Body, & Soul? Burn Fat, Build Lean Muscle, & Reach Your Peak! The rower works over 84% of all the muscles in your body and can burn up to 800+ calories in one class! safe, effective, and results driven! making it a great option For virtually anyone regardless of their fitness level! Are you Interested in deals, promos, and staying in the loop! Drop your name, email, and number so we can send you the goods! *** WAIT!!! *** You're not done quite yet! Head over to your inbox and confirm this subscription so we can send you some fitness and nutrition tips! ALSO, follow us on Facebook & Instagram for tips on how to be healthy & live life to the fullest! The Maximize Program is designed to maximize your body's ability to BURN FAT and BUILD LEAN MUSCLE. It is for anyone at any fitness level making it great for beginners and elite athletes looking to get in the best shape of their lives while having the best time of their lives! These classes are high-energy and fast paced leaving you feeling like you can conquer the world afterwards! With motivating instructors, high-quality music, and an energy like nothing you've ever felt before, this is more than just a workout, it is an experience every time you walk through the door! This 45 minute class is the perfect mix of strength and cardio. It will maximize your bodies ability to burn fat while sculpting and toning every muscle on your body. From sprints and endurance intervals on the rower to dumbbell and body weight exercises on the mat, this class is a true total body burn. This class is 50% rowing and 50% strength training. This 45 minute class will take your cardio and muscular endurance to the next level regardless of how fit or unfit you may be. 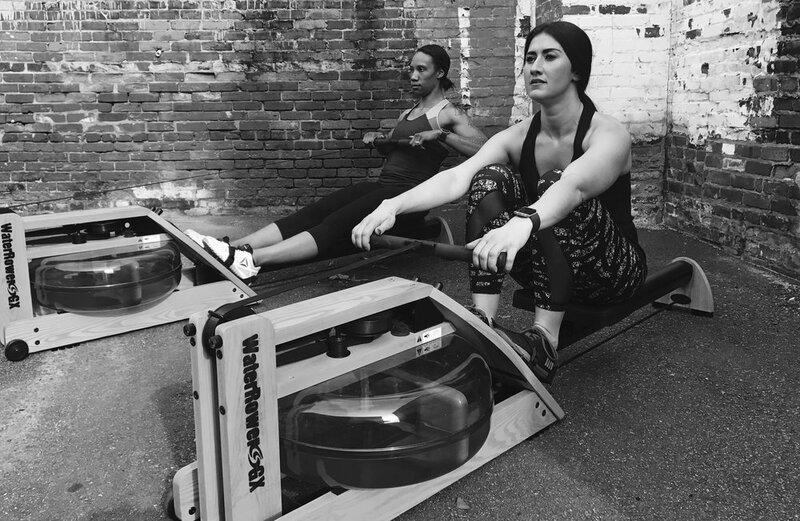 If you love the high-energy vibe of a spin class but want to get more bang for your buck by strengthening your legs, core, and arms, ROW FIT is the answer! By mixing long and short rowing intervals fueled by the beat of the music, it’s easy to see why this workout is addicting! The Optimize Program is designed to take your TRANSFORMATION to the next level by optimizing the results you are looking to achieve. Whether you're a guy looking to build that perfect “V” shape by focusing on your chest and back or a lady looking to create the curves you've been dreaming of by sculpting the perfect set of legs and glutes, the Optimize Program has the ability to customize your training program to suit your exact needs! This is a 45 minute interval based circuit class created to build muscular strength, endurance, and stamina as you rotate from station to station. It will maximize your bodies ability to build lean muscle by mixing dumbbells, suspension trainers, sandbags, battle ropes and body weight exercises together to stimulate muscle growth. The Revitalize Program is designed to bring a new sense of MINDFULNESS, AWARENESS, and RECOVERY into your every day life. We are all busier than we have ever been and that busyness isn’t going to slow down. And if we are being honest, we all push ourselves a little harder than we should sometimes and tend to burn the candle at both ends. So to help combat all of the stress we deal with on a daily basis, we decided to listen to the latest scientific research on meditation, recovery movements, and breathing techniques and these techniques ability to aid in the recovery process and turn it into a mind, body, and soul balancing program. This is a 45 minute restorative class created to help aid in the recovery process by combining active recovery movements, breath work, and guided meditation together to create a mind, body, and soul altering experience to help eliminate stress. The blending of these 3 techniques will strengthen your mind-body connection and bring a new sense of awareness and gratitude into your life. The proof is in the pudding! These are just a few of the REAL people getting REAL results. No fat loss pills, no crash diets, and no need to spend hours each day doing "cardio." These transformations come from consistency with their exercise program and good choices in the kitchen. It is amazing what the right mindset, a little sweat equity, and clean whole food nutrition can do for your body and mind! "I can safely say that I have found my fitness "home" at P365 and this has been an eye opening year for me. No longer am I jumping from workout DVD to workout DVD only to be bored quickly and lose my way. Dan's support and ability to care has no doubt helped me reach my health goals." "P365 has helped me re-shape my mindset and achieve my personal goals. In six months I lost 40 lbs. due to the amazing workouts paired with the mindset and discipline the trainers instill. If you are looking for something to keep you motivated and on track to achieve your goals, P365 is a must!" 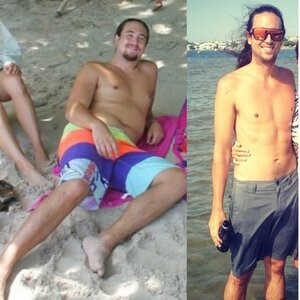 "I lost 50lbs. in 7 months by following the 3 core pillars of transformation that make up the foundation of P365 - Fitness, Nutrition, & Accountability. The success of my own transformation is one of the many reasons why my husband and I created P365 to help transform our local community!" FINALLY ready to GET RESULTS? Copyright © 2018 PEAK 365 FITNESS LLC. All Rights Reserved.